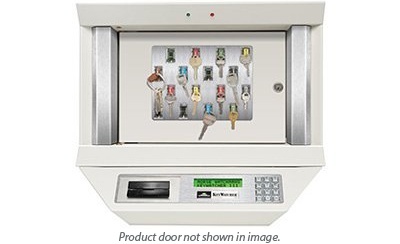 Smaller compact key control cabinet system fits almost anywhere. 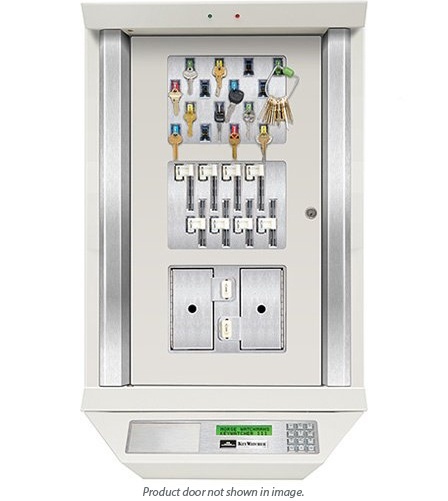 Perfect for situations where there are multiple locations within a building or campus that need only a limited number of keys managed. Single module system accepts all standard KeyWatcher modules. Comes standard with the bottom mounted control box, but can be used with a remotely mounted keypad and display box. Two module system accepts all standard KeyWatcher modules. Three module system accepts all standard KeyWatcher modules. 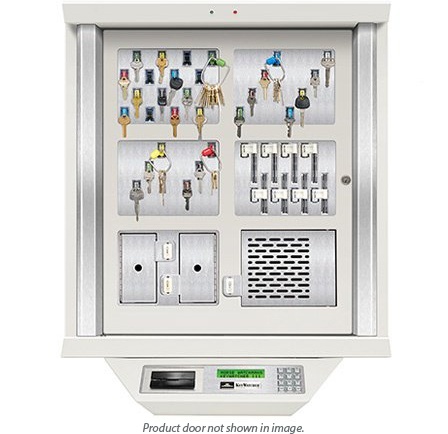 System contains up to 48 SmartKey locations per key control cabinet, and supports additional cabinets. Expandable – if future growth demands the need for more keys, modules or add-on cabinets can be added to increase the capacity of the system. 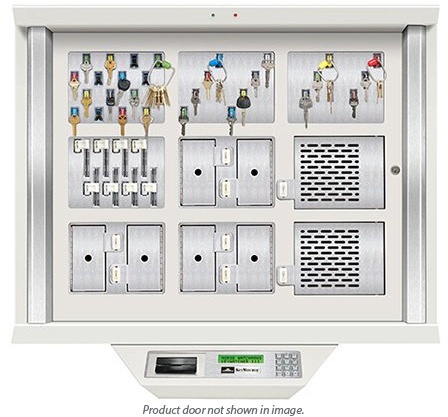 System contains up to 96 SmartKey locations per cabinet, and supports additional cabinets. Six module system accepts all standard KeyWatcher modules. Different orientation of the standard 6 module system allows for more mounting options, such as under cabinets or on counter tops. 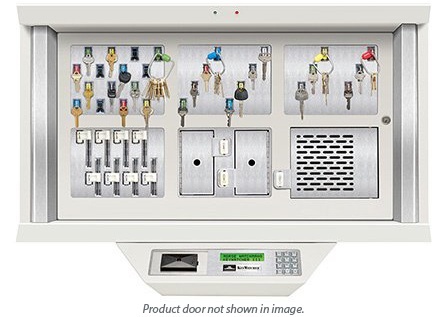 Provides maximum storage – up to 144 keys in one cabinet, and supports additional cabinets. Available in wall mount or desktop versions. Allows for fingerprint and card enrollments to be done from a more convenient location. Enrollment data is transferred to other systems automatically via the KeyPro III software. Available in wall mount or desktop variations. The remote box can replace the standard bottom mounted control box, or can be used in conjunction with the bottom mount control box so the system has a dual keypads and displays. 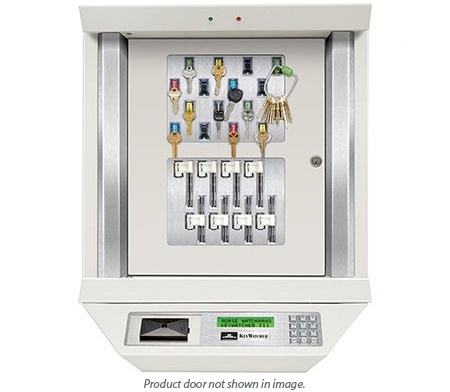 Useful for when the KeyWatcher needs to be mounted in a secure area such as a control room or vault and users need to be able to input their login information without entering the room.